History’s most famous racehorse is celebrating his 100th year Anniversary 1917 – 2017! 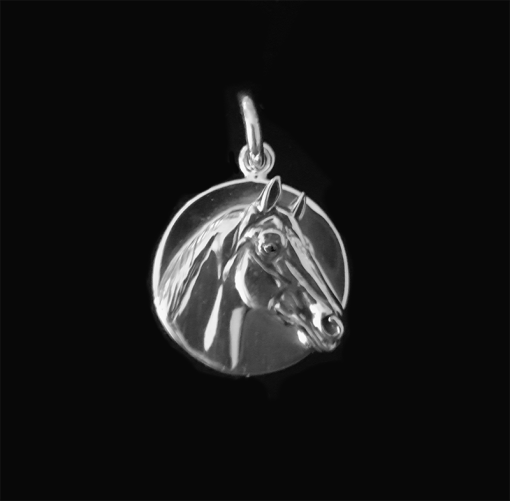 This new disc charm honors this special occasion and measures 13/16″ in diameter. 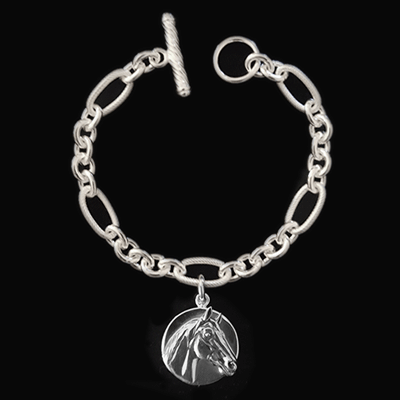 Perfect on a bracelet or your own favorite chain. 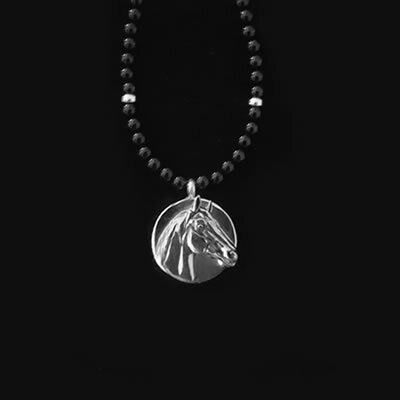 Stamped with his name on the back, this piece benefits the Kentucky Horse Park Foundation for the continued restoration of Man o’ War’s statue and memorial. Comes in a gift box with commemorative card. Order this special piece collector’s today! 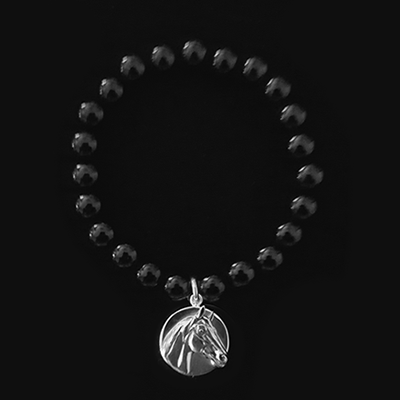 Visit the Kentucky Horse Park in Lexington, KY now through November 1 to see the special Man o’ War exhibit at the International Museum of the Horse titled “Man o’ War: The Mostest Horse That Ever Was”. The Kentucky Derby Museum in Louisville, KY is featuring an interactive exhibit,…”Man o’ War: The Legacy”. 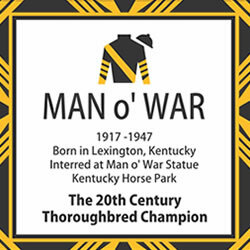 The National Museum of Racing and Hall of Fame in Saratoga Springs, NY is honoring this American icon with their exhibit “Man o’ War at 100” through December 2018.The Keeneland Library, Lexington, KY is featuring “Man o’ War: In Others’ Words” Be sure to see if you are visiting these cities.